Textile Sector Skill Council (TSC) is a non-profit making organisation having license under Section 8 (1) of the Companies Act, 2013 registered under Companies Act 2013. 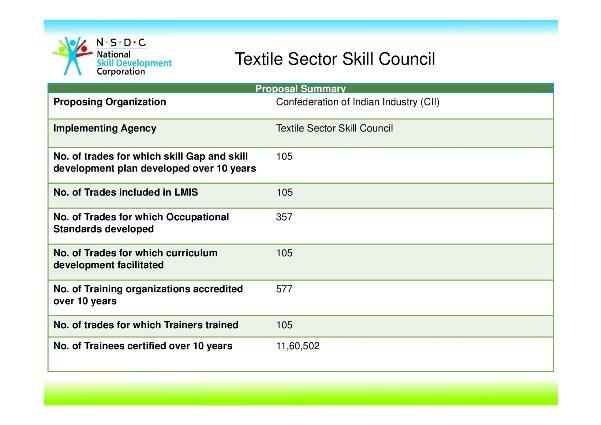 Textile Sector Skill Council has been approved by National Skill Development Corporation, set up by Ministry of Finance, Govt. of India. TSC will develop a skilled work force for the textile industry through setting curriculum for training and accreditation of trade competency. TSC is to facilitate scalable “skill training” to the complete work force engaged in the manufacture of textile and hand-loom products.National Skill Development Corporation (NSDC approved Textile Sector Skill Council (TSC) for development of skill in spinning, weaving, processing and hand-loom sectors of the textile industry.Setting of Textile Sector Skill council has also been endorsed by Ministry of Textiles, Government of India vide approval letter dated 6th September 2013. The TSC is an organization represented by Industry, government and academia to develop innovative skill solutions and to investment in skills and job creation. 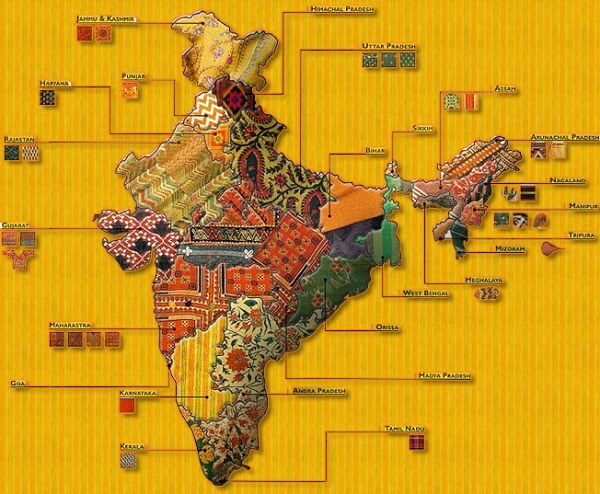 The key objective of TSC is to define the skill requirement of the industry and to create a deployable talent pool of workforce for the textile industry.The TSC is incubated by textile industry associations and training providers including textile research associations and office of the Development Commissioner of Hand-looms. A governing council of this group will oversee the running of the TSC with its CEO and a team of professionals, who will collect, compile and manage Labour Market Information System (LMIS), build competency framework, evaluation methods and curriculum development in consultation with industry and academia.